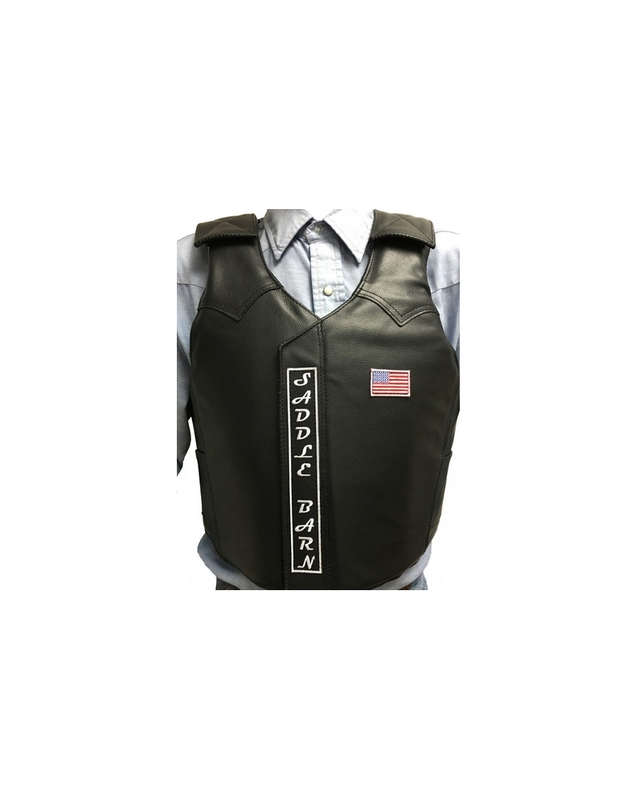 Black top grain leather protective pro rodeo bull riding vest. High density foam inner shell. Velcro® adjustment. 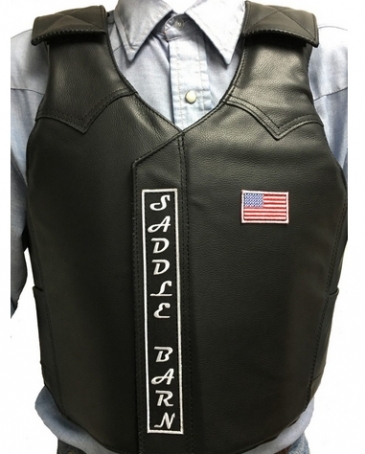 Saddle Barn Pro Rodeo Equipment LOGO. Adult size.